Learn about incorporating a company in Canada with this free pamphlet. 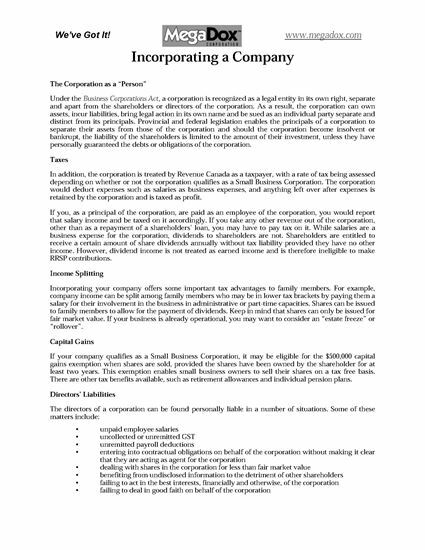 how to decide whether to incorporate or to operate as a sole proprietorship or as a limited company. 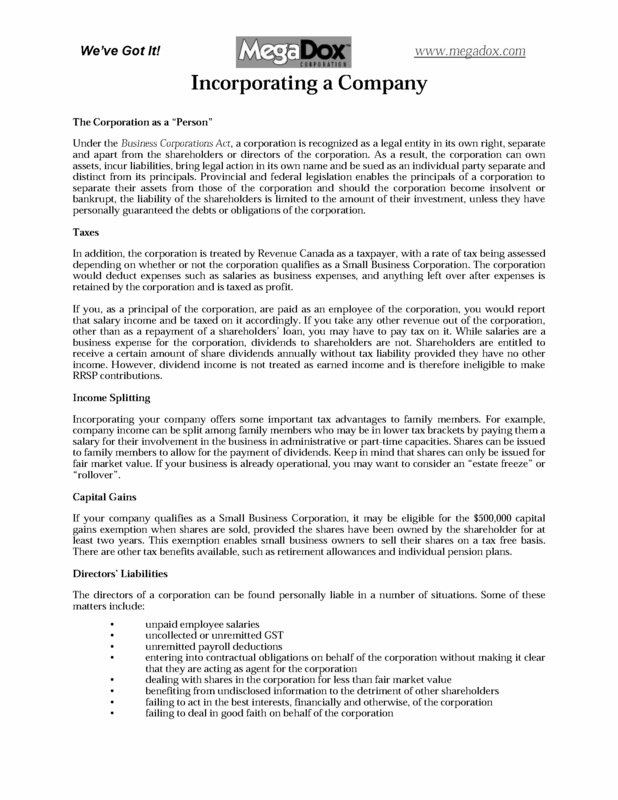 Incorporating a Company in Canada is a free PDF download.